At more than 8,000m above sea level, Mt. Everest remains a compelling challenge to mountaineers who simply cannot resist its pull. Here’s one of the proud moments for all the #Mysoreans out there! 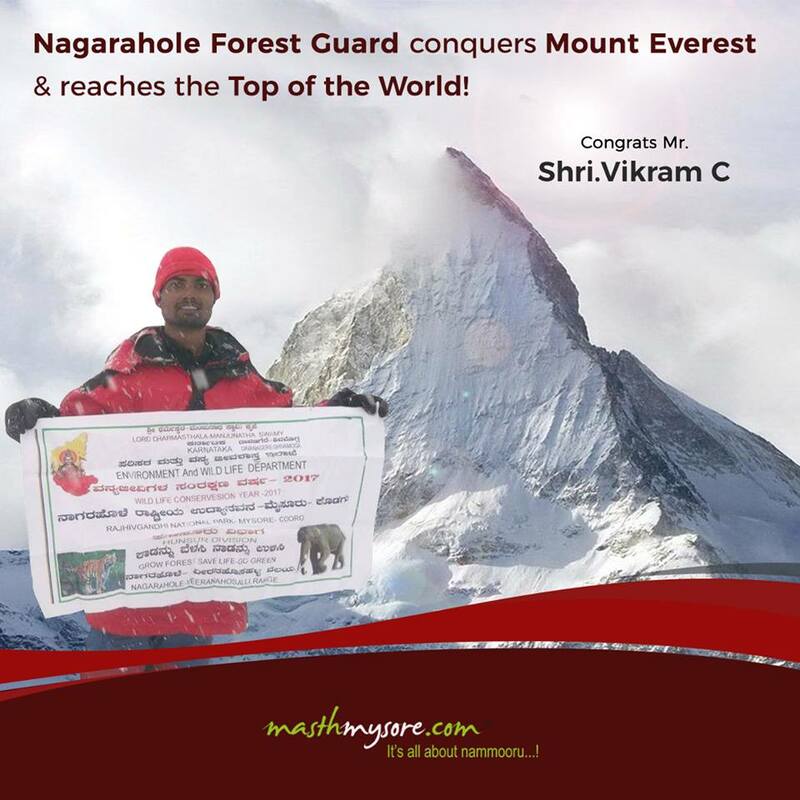 Shri.Vikram C, #ForestGuard from #VeeranahosahalliRange, Nagarhole National Park, has successfully completed the arduous journey to the top of the world.